A SpaceX ship successfully launched from Cape Canaveral with supplies for the International Space station, but the attempt to land the rocket booster failed. The unmanned Dragon ship is loaded with 4,300 pounds of supplies and scientific materials for the crew of six at the orbital facility. Among them is the ‘ISSpresso’ coffee machine, developed by Italian engineers for ESA astronaut Samantha Cristoforetti. The ship is scheduled to return in five weeks, with about 3,000 pounds of cargo including science experiments, hardware, and crew supplies. SpaceX later posted a Vine of the botched landing. The rocket was supposed to land aboard the remote-controlled barge ‘Just Read the Instructions’, deployed about 200 miles (322 km) off the Florida coast. SpaceX is continuing the attempts to achieve a controlled landing of the Falcon9 booster. 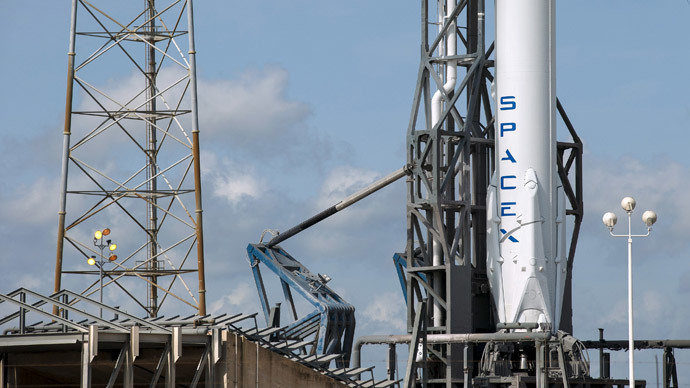 All attempts so far have failed, with the booster either sinking into the ocean or undergoing what SpaceX CEO Elon Musk described as “rapid unscheduled disassembly” upon striking the landing pad. By reusing the booster stage of the rocket, the company hopes to drastically reduce the costs of commercial space launches.